While you can buy something called a “Morello cherry,” the name Morello actually refers to a family of sour cherries. The fruit sports a distinctive very dark red skin that’s so dark it’s nearly brown. The flesh and juice of the cherries are also quite dark. Morello cherries are slightly more tart than other popular varieties of sour cherries. Morello cherries have become more popular over the last century or so. This is because the trees themselves flower later in the year, making them easier to grow in popular cherry-farming climates. 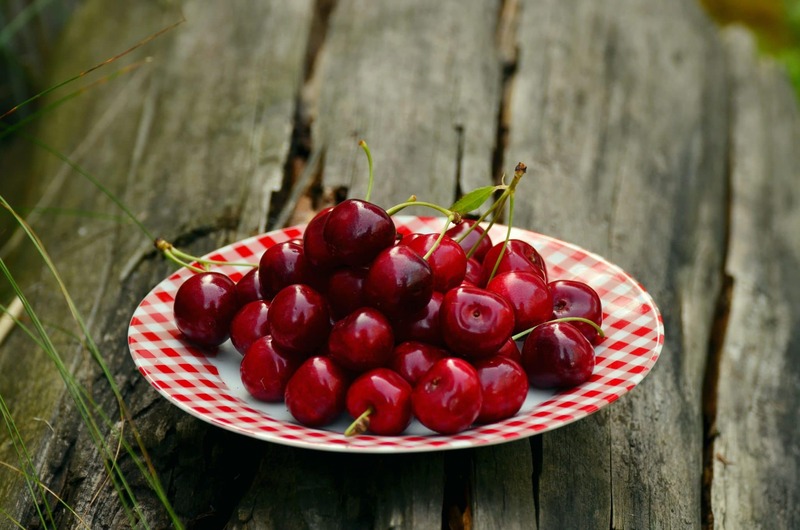 When cherries are advertised as being “Morello cherries” and not another variety, this usually means that they’re English Morello cherries or Hungarian Morello cherries. Both of these cherry families are highly sought after by cooks all around the world. These aren’t the only types of Morello cherries, however. You’ll also find Balaton, Heimanns Konservenweishsel, Fanal, Kansas Sweet, Krassa Severa, Koroser Langenstein, Northstar, and Schattenmorelle cherries in the Morello family. Like other sour cherries, Morello cherries are quite sour. While you can eat them raw (and you should definitely try at least one), they’re more commonly used in pies, drinks, desserts, and other recipes. Here are a few of the easiest ways you can use Morello cherries in your kitchen. Sour cherries are pretty sour, but they’re not sourer than a sour candy. If you enjoy tart foods, you might just eat them by the handful. If you find that they’re slightly too tart on their own, keep reading to find out how to sweeten them while preserving their wonderful fruity flavor. Add sugar, water, and cherries to a saucepan. Boil for about ten minutes or until ingredients are well blended and have a syrup-like consistency. Jar and refrigerate. 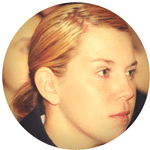 Serve over breakfast foods (pancakes, waffles, and the like), ice cream, or even soda. If you find that your syrup isn’t “bright” enough, consider adding a squeeze of lemon while you boil it. 1. Begin to preheat your oven to 375. 2. In a medium saucepan, heat cherries on medium-low heat until they’ve given off quite a lot of juice. This usually takes a few minutes. 3. In a separate bowl, mix sugar and cornstarch. Pour in the hot cherries and stir. If you’d like, you can add a few drops of almond extract. 4. Pour the mixed ingredients back into your saucepan and cook on low heat until the mixture gets quite thick, stirring often. Adjust the consistency to your liking by adding water (to thin) and cornstarch (to thicken). When you’re happy, remove your filling from the heat and let it cool off. 5. Take your pre-prepared pie crust and place the bottom section in a pan. Carefully pour in the cooled filling, then dot the pie with butter. Gently moisten the edge of your crust, then add the top and flute the edges to seal. 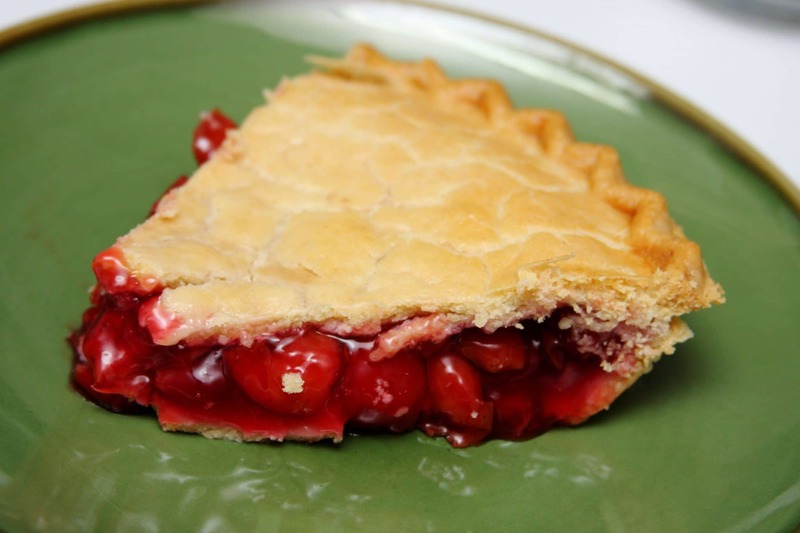 Before cooking, make several slits in the top for steam to escape and consider dusting the top of your pie with sugar. 6. Bake the pie for 45 minutes to an hour at 375. When the crust is done, remove it from the oven and allow it to cool on a rack. Truthfully, the hardest part of this recipe is making the crust. If you’re not an expert cook, consider simply buying a pre-made crust at the store. This will make the whole process a lot easier. If you’re more experienced, of course, there’s nothing wrong with making a crust yourself! When pies are too hard, turn to cobbler! This easy recipe allows you to enjoy a wonderful dessert without fiddling with two crusts. 2. Next, prepare the filling. Just like with cherry pie, you’ll want to sweat your cherries over medium heat until they’ve released lots of juice. Next, mix the heated cherries with cornstarch and sugar. Finally, cook this blend over low heat until it’s thick enough to be used as cobbler filling. Let it cool off while you make the pastry. 3. Mix the sugar, flour, milk, and baking powder together in a medium bowl. Simply combine the ingredients well with a whisk, fork, or another tool. 4. Pour the melted butter into an oven-safe baking dish. Next, pour in your pastry batter. Don’t stir! Finally, pour the cobbler filling over your batter. Again, don’t stir. 5. Bake the cobbler for 45 to 50 minutes. When it’s done the crust should be a nice golden brown color. Be sure to let it cool for at least 5 minutes before you serve it! 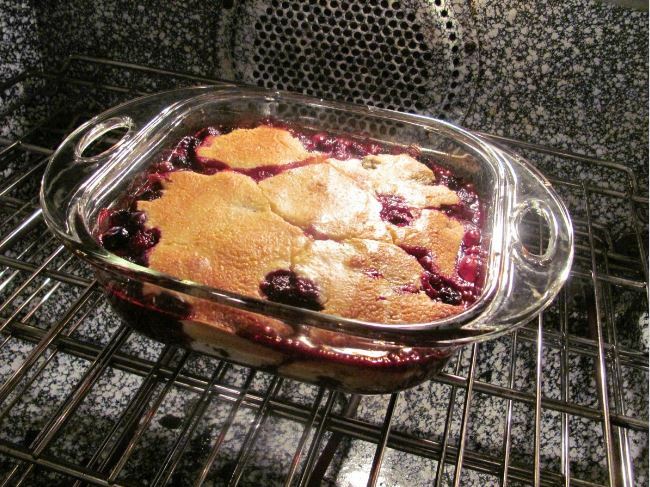 For some people, this cobbler will come out of the oven upside down. Others will prefer to enjoy it with the filling side up. 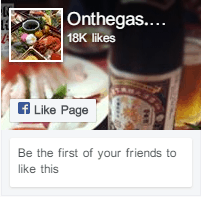 Either way, this dish will prove to be a big hit at all of your social gatherings. The recipes above should give you lots of ideas for utilizing your Morello cherries. For me, the most important one is the recipe for cherry syrup. This is because unlike the other two recipes, you can combine cherry syrup with dozens of delicious foods to make something that’s truly new and unique. Here are some ideas. Whether you’re enjoying rice pudding, vanilla pudding, or a homemade custard, consider livening things up with a dollop of homemade Morello cherry syrup. 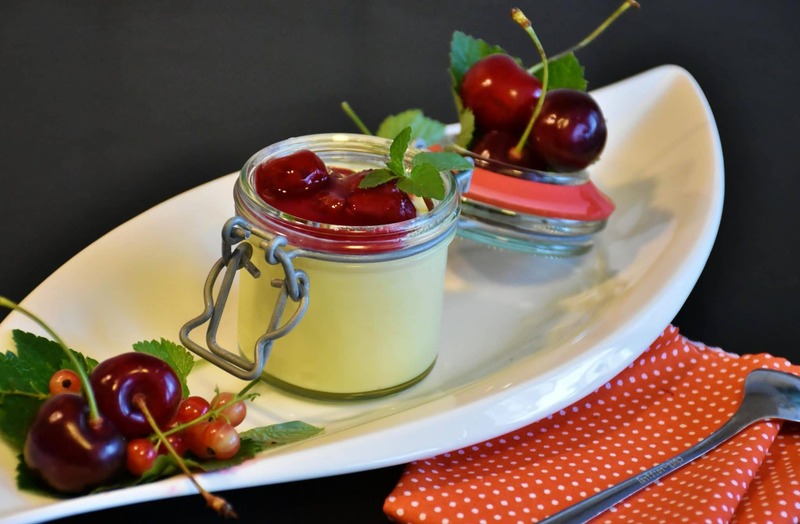 You’ll find that the sweet, tart taste of your cherry syrup serves as the perfect accent for your custard-like desserts. It goes great with chocolate pudding, too! Yogurt is a healthy staple of the modern diet. 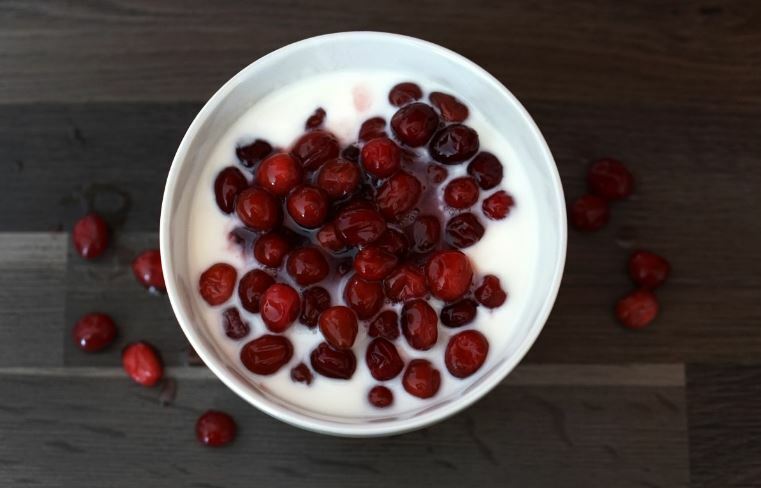 Try getting plain (or vanilla) yogurt and flavoring it yourself with your cherry syrup. This will give you a bold, intense flavor that’s totally natural and incredibly delicious. Instead of using the cherries to flavor ice cream as you make it, try pouring the sauce over vanilla ice cream. if you want to go totally crazy for cherries, serve cherry pie alongside vanilla ice cream and pour some cherry sauce on top of the ice cream. Adding a spoonful of cherry syrup to rum, brandy, and other alcoholic drinks can give you some pretty neat cocktails. 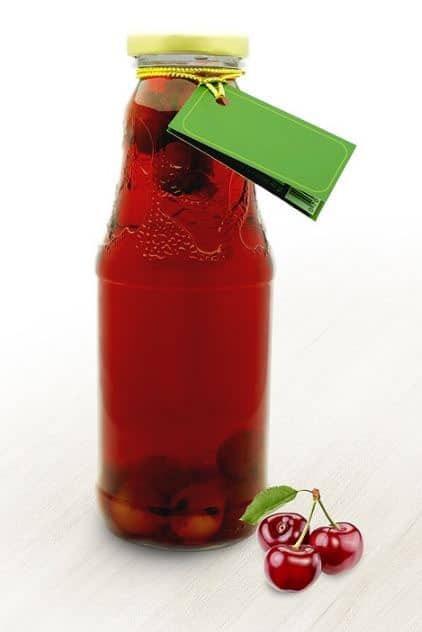 If you’ve got kids in the house you can simply add cherry syrup to club soda to get a wonderful virgin drink. Cherry syrup isn’t quite the same as grenadine, but it’s pretty close. This means you can use it to make Roy Rogers, Shirley Temples, and other famous drinks at home. Pancakes, waffles, and other breakfast foods go very well with cherry syrup. Add some homemade whipped cream and plenty of butter for a delicious breakfast that you’ll remember for quite a while. While the bold flavor of Morello cherries might be too much to enjoy raw, these fruits are perfect when sweetened and used to accent other dishes. If you find that you’ve got a sudden surplus of Morello cherries in your kitchen, be sure to experiment with all of the recipes above. You’ll love both the baked goods and the fun combinations of foods you can make with cherry syrup. Taiwanese Sponge Cake – A Portuguese Delicacy in Taiwanese Style!